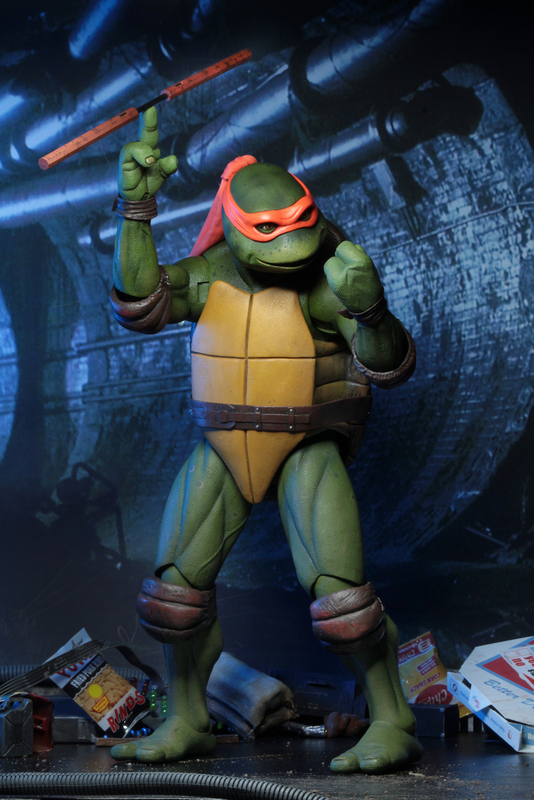 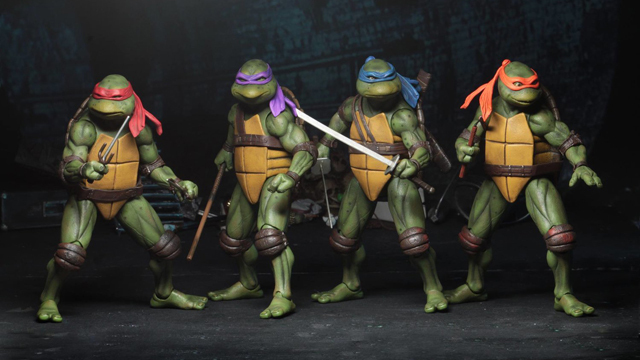 Looks like NECA‘s nailed it once again for fans of the 1990 Teenage Mutant Ninja Turtles movie with this TMNT 1:4 Scale Baby Turtles Action Figure Set that’s now available for pre-order. 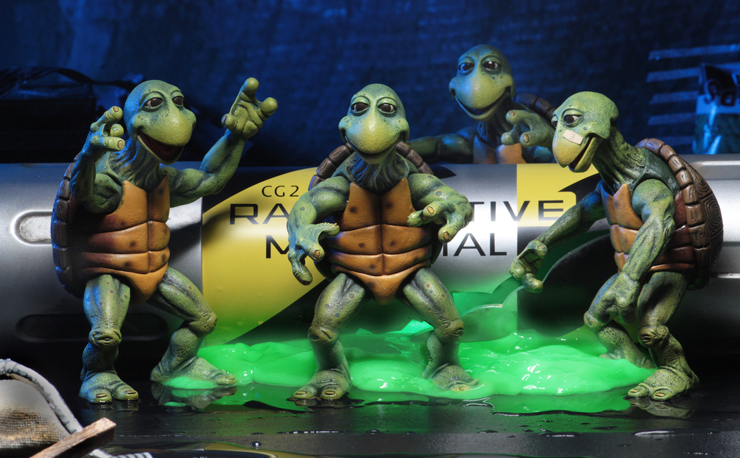 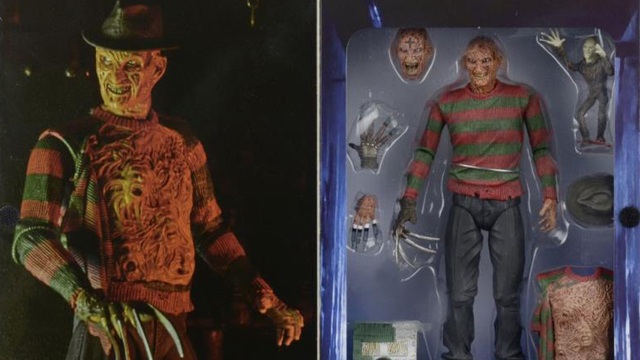 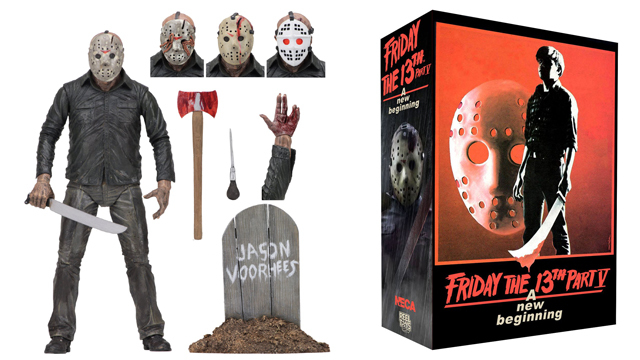 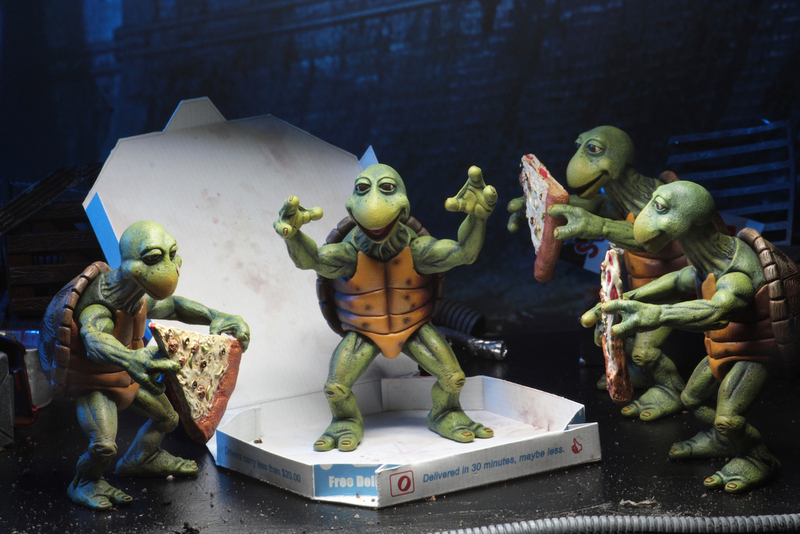 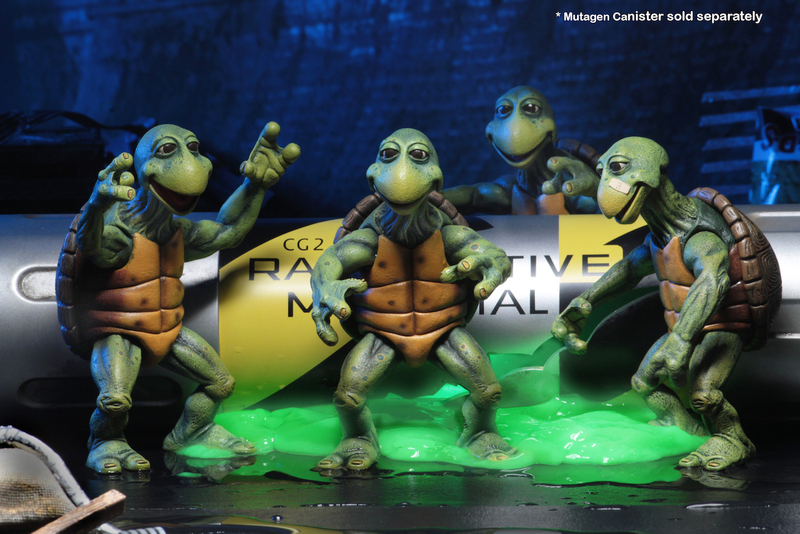 After popping up as part of NECA’s previews back at San Diego Comic-Con 2017, the Baby Turtle 4-Pack has finally arrived and it’s as awesome as it sounds. 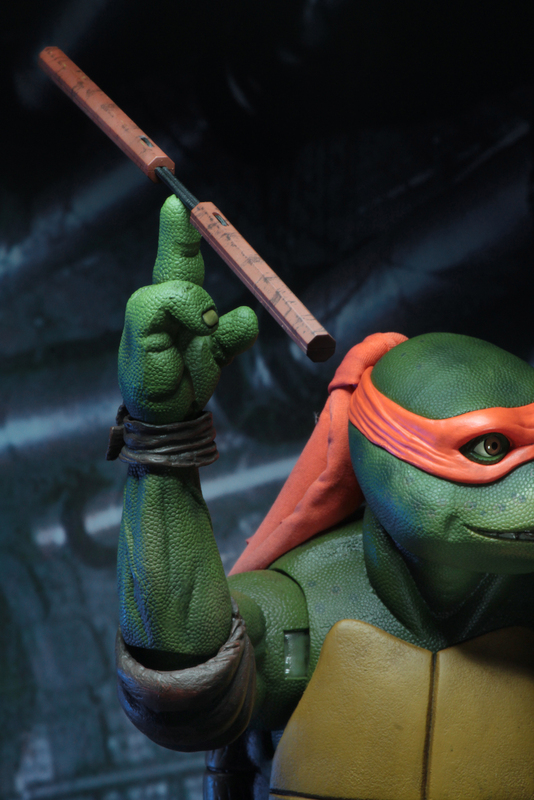 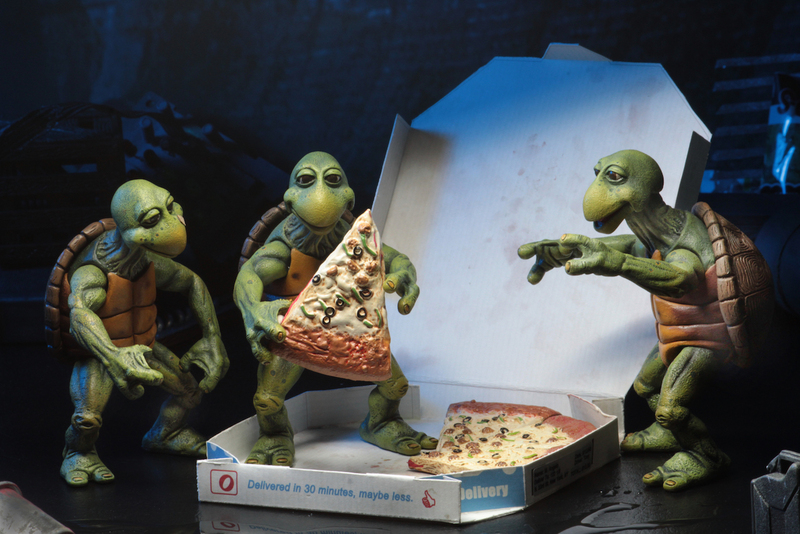 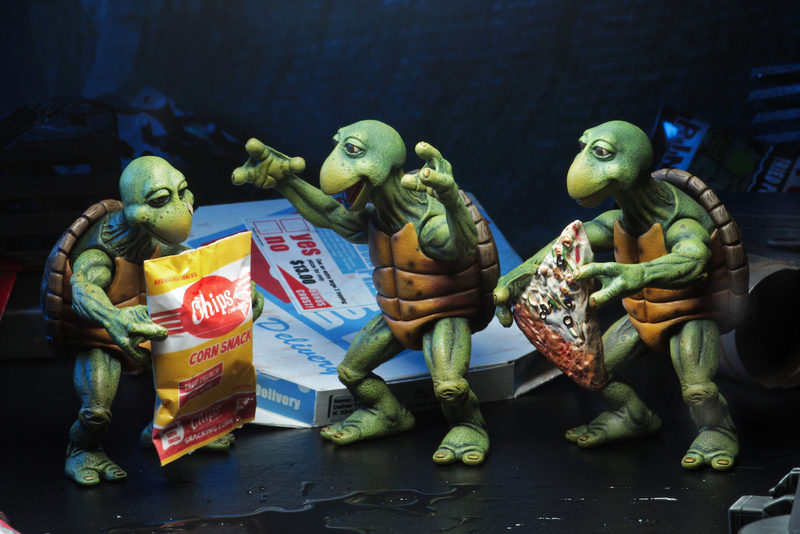 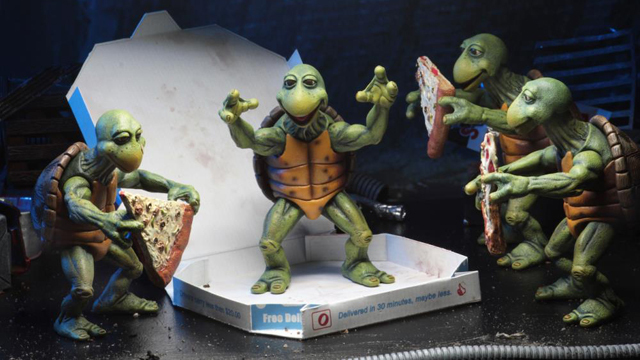 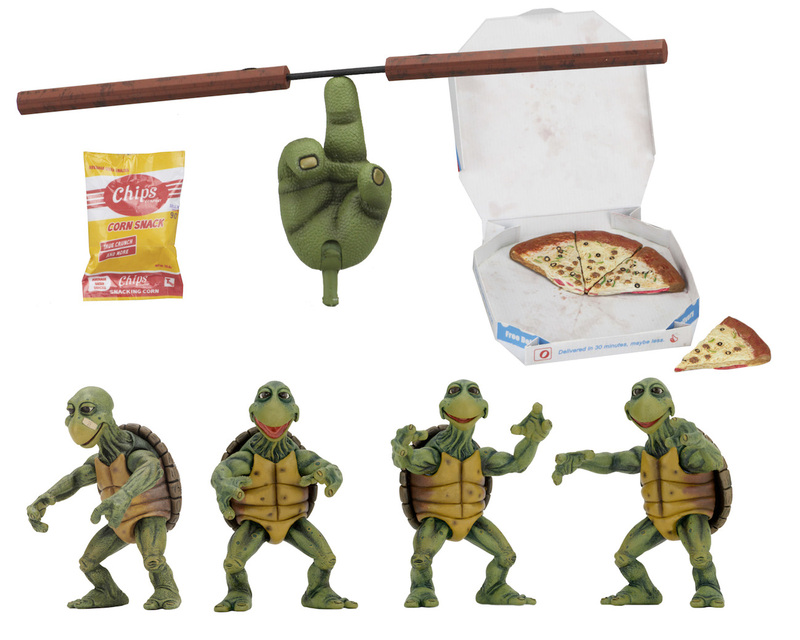 Standing at 4-inches tall (in scale with the rest of the 1:4 scale NECA TMNT action figures), these tiny Turtles are ready to train with Master Splinter, looking all kinds of cowabunga cool, and equipped with several accessories like a pizza box, 4 slices of pizza, and a bag of corn chips, plus a cool bonus-nunchuks and alternate nunchuk-spinning hand for the 1:4 Scale Michelangelo Action Figure (sold separately). 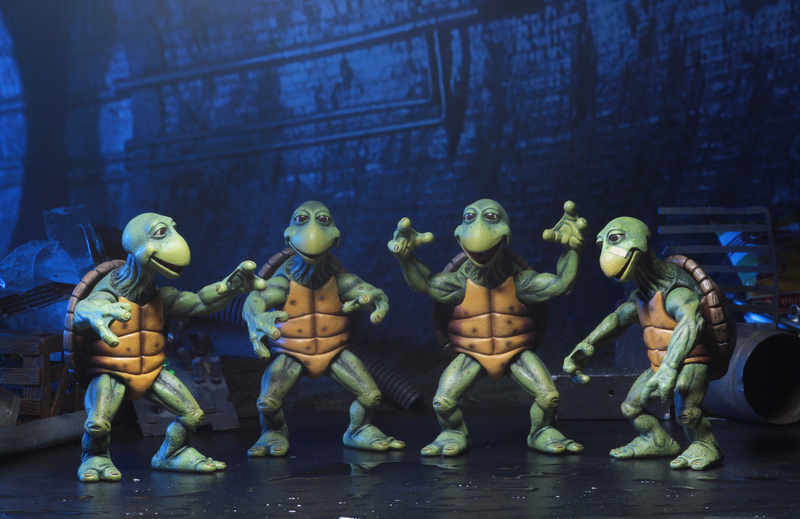 The NECA TMNT Baby Turtles 4-Pack is coming March 2018 but available now for pre-order here.